If you live in the U.S., it's likely that you eat a lot of GMO foods, and there is plenty of scientific evidence that these foods are perfectly safe. Still, many consumers want GMO foods to be labeled, simply because they want to know whether their food is the product of genetic engineering or not. About 70 to 80 percent of processed foods sold in the United States are made with genetically engineered ingredients, including corn, soybeans, sugar beets and cotton oil. Many of these crops have been genetically altered in the laboratory to make them more resistant to pests and invasive weeds, reducing the need for chemical pesticides and making the crops better suited to survive periods of bad weather. Genetically modified crops also significantly increase per-acre yields, reducing the demand for farmland. 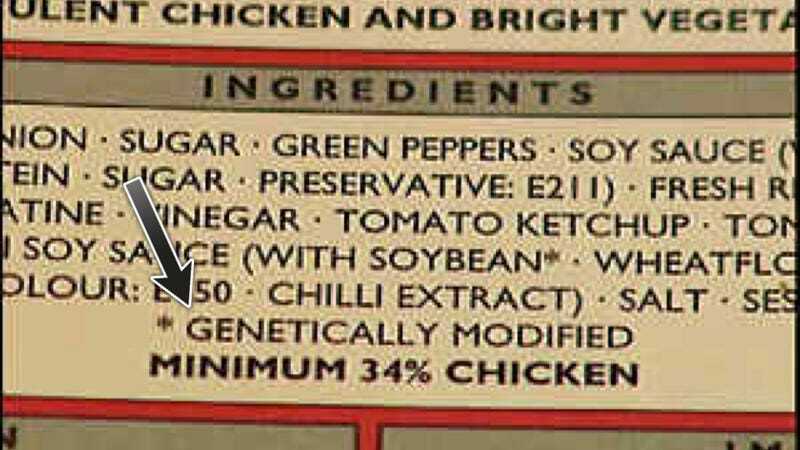 If the California measure passes, processed genetically engineered food products would include the words "Partially produced with genetic engineering" on either the front or back label. For whole foods, such as sweet corn and salmon, grocers would be required to have a sign on the shelf. Manufacturers and stores would have 18 months to make the change. Products such as alcohol, most meats, eggs and dairy would be exempt. The Chron also quotes UCLA molecular biologist Bob Goldberg, who told the paper, "Bioengineered crops are the safest crops in the world. We've been testing them for 40 years. They're like the Model T Ford. There is not one credible scientist working on this that would call it unsafe." This makes it even more bizarre that companies are balking at GMO labels being included along with every other piece of health information on foods, like ingredients and nutritional information. Again, resisting the labels makes the GMO industry look like they have something to hide, which ultimately undermines their stated goal of making Americans more comfortable with the fact that we've been eating GMOs for decades.